I would guess it's a gull, but it's hard to get anything definitive from that image. Thanks for the best/worst plug ever! 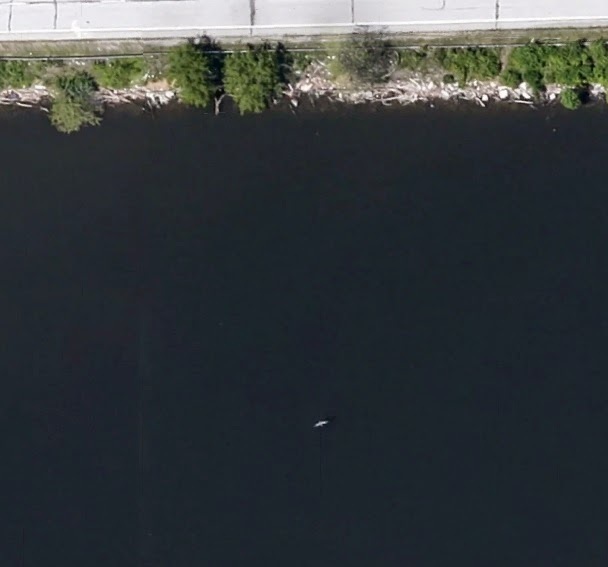 In my defense, I was actually looking up directions and decided to zoom in on the bird-looking dot on the map. Okay, back to Basements and Humans! You can see a flock of large white waterbirds, most likely American White Pelicans, taking to the air at 38.872515°, -90.172794° (Riverlands area in Missouri, across the Mississippi from Alton, IL). 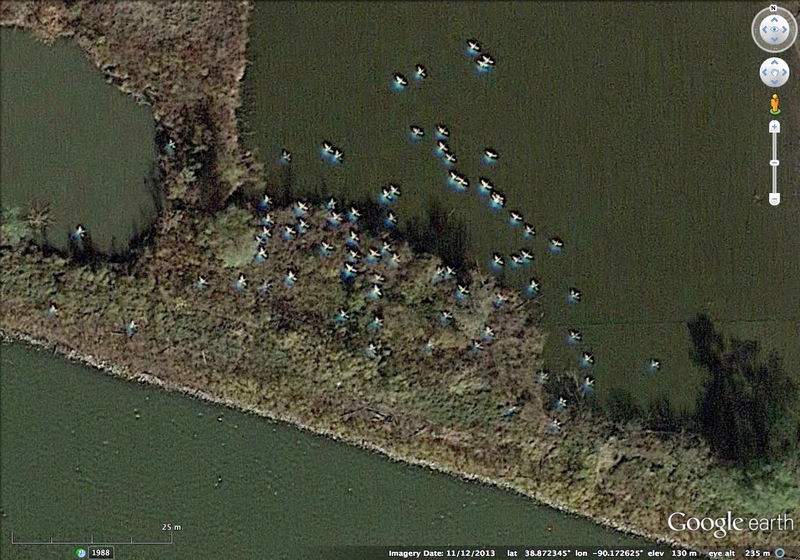 There used to be a V of flying birds visible over Lake Senachwine (Putnam Co., IL), but they recently updated the imagery, and the birds are gone. Intruiging, Urs! I don't see the flock, can you post a screenshot? You have to zoom in to almost maximum to see them. Here is a link to a screenshot. Awesome! Great work, Urs! I agree that they're probably White Pelicans.